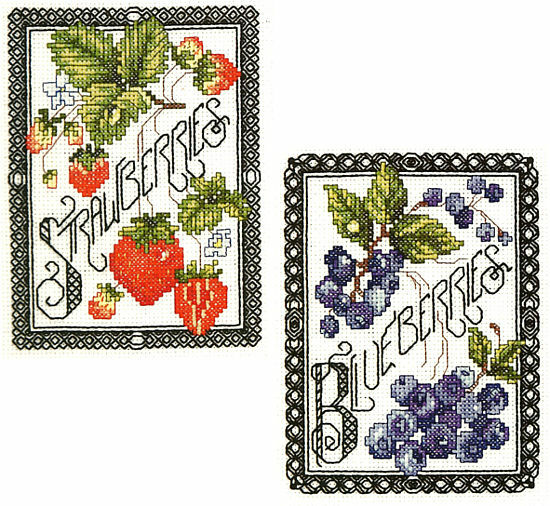 "Blackwork Berries", comes in a set of two. 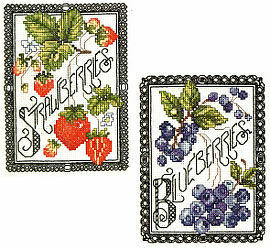 What is a strawberry without a blueberry? The set will accent any room in your house, or give to someone special as a gift.